Ford has had a predictable history when it comes to the debut of its Nascar race cars. Back in 1968, Ford launched the Production version of the Ford Torino, and right around the same time, it dropped the Nascar variant of the Torino. 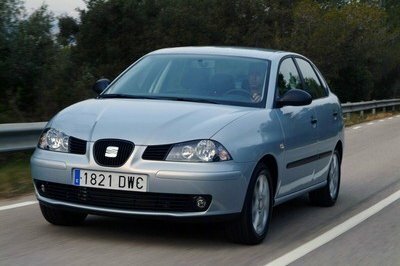 In 2006, it did the same dual launch with the Fusion. 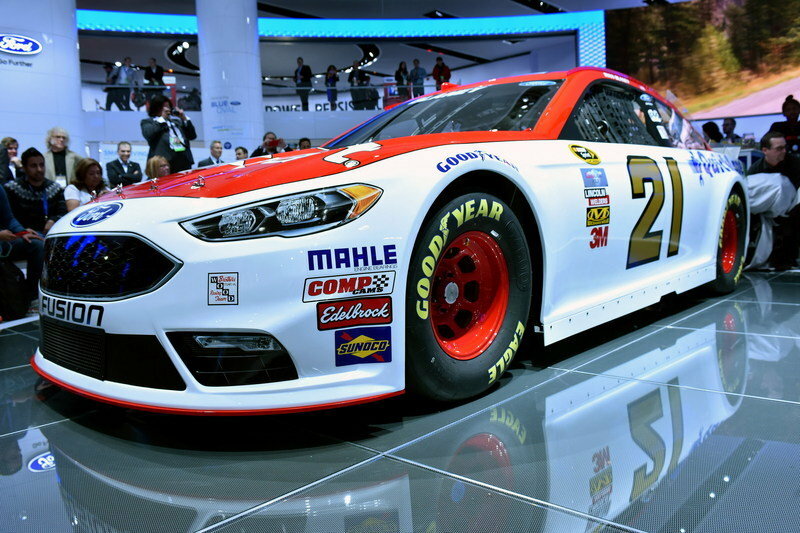 In 2013, Ford decided to repeat history again and release the 2013 Ford Fusion and the Nascar variant right around the same time. 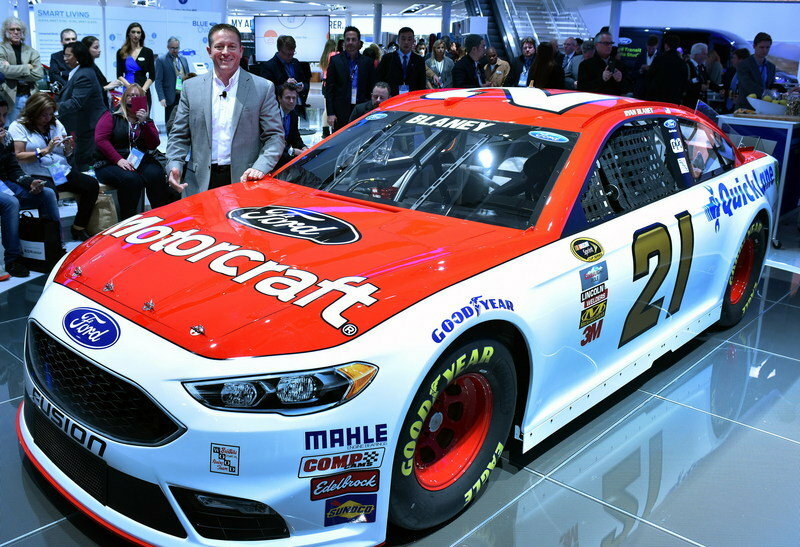 This year, at the Detroit Auto Show, Ford did it again with the 2017 Fusion, and it’s Nascar variant. The Fusion race car hasn’t had that long of a history in Nascar, as it became the brands flagship racing model back in 2006. Since then, however, the car has been upgraded to meet Nascar regulations. These upgrades include things like running on an ethanol blended fuel and switching over to electronic fuel injection. With this new model, the biggest change comes in the form of a new digital dashboard system, which is required by Nascar regulations for this year. We’ll talk more about that a little later, so let’s dive in and see what we’ve got here. Updated 01/21/2016: Ford dropped a new video in which it highlights the development of its latest Fusion NASCAR race car which will make its track debut next month at Daytona Speedweeks. His "play" to watch how a 750 horsepower race car is being built. Continue reading to learn more about the Ford Fusion NASCAR. 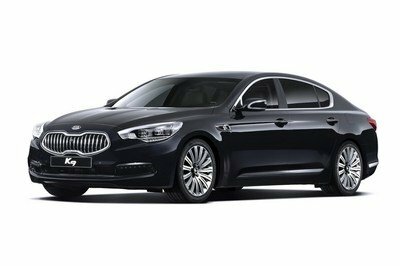 The car may share some roots with the Fusion, but in all reality, it isn’t much of a fusion at all. How could it be and still meet all those Nascar regulations? 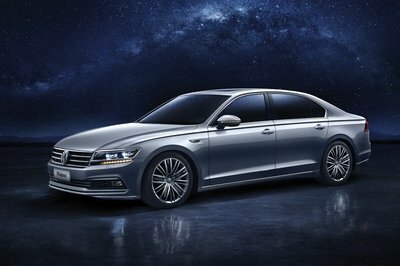 Up front, the body wrapping does display a good resemblance to the fusion. The grille, headlights, lower air dam and corner vents all look like the came from the Fusion. In fact, if you were to cut off the nose at the wheel arches, and remove all the sponsor names, it would look a lot like the fusion, even if it is just wrapped sheet metal. To the sides, the “windows” carry the same design as its production-bound brother, but as Nascar would have it there are no doors or door handles to speak of. Naturally the wheel arches are more pronounced to accommodate the larger wheels and racing tires, but all body lines that might link the Nascar version to the production version are gone – it’s just more aerodynamic this way. Ford didn’t offer up any shots of the interior, but it’s safe to assume it’s free of most of the creature comforts found in the production version of the 2017 Fusion. Expect to see a racing seat, harness and structural cage that meets Nascar regulations (obviously) and all the bells and whistles that come with a race car – mainly toggle switches for fuel cutoff, ignition, electrical, etc. There is one new feature on the inside – required by Nascar for racing this season – that I would really like to get a look at: the digital dashboard. There is one new feature on the inside – required by Nascar for racing this season – that I would really like to get a look at: the digital dashboard. This dashboard offers up all of the information the driver needs, but with it comes new ways to view that information. Traditionally drivers used the standard gauge and needle system that production cars have used for years, but with this new system, the driver has a choice of how he takes in the information as he pushes around the track to get ahead of the pack. According to Ford, the new screen has 16 different preset screens that can display pertinent information by bar graph, digital numbers or even a digital representation of the old school gauge and needle system. Unfortunately, Ford didn’t go too far into all the specifics of this new digital dash, but I bet it rivals anything we’ve seen in production form lately. Very little word has been released about the drivetrain of the Nascar Fusion, but as regulations require, it runs on an ethanol blended fuel that is delivered via electronic fuel injection. We do know that the engine under that hood delivers 750 horsepower at 9,000 rpm, which of course is the result of more Nascar rules. I would love to get a look under the hood of one of these things, but until Ford is nice enough to show us more pictures or Nascar lets me into the pit, the specifics will remain a mystery. 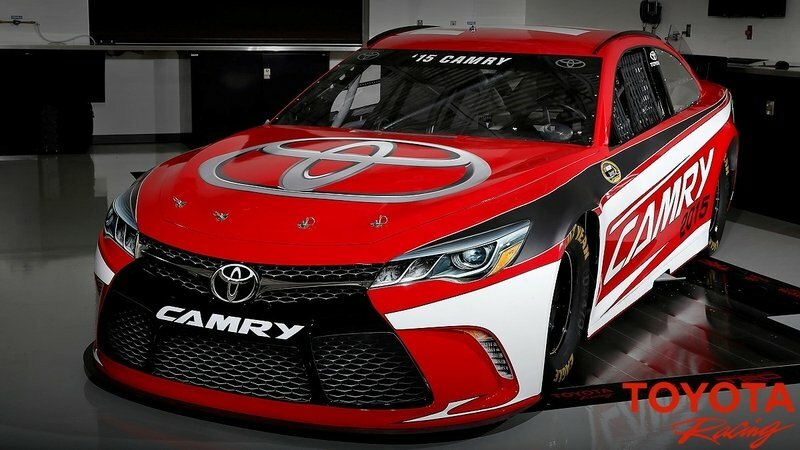 Toyota refreshed the production version of the Toyota Camry for the 2015 model year, so naturally, Toyota had to follow suit with is Nascar variant of the Camry as well. 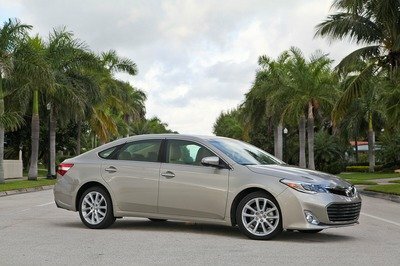 The car didn’t see any major drivetrain upgrades over the previous season’s car, but it did take on the new looks for the 2015 Camry. Under the hood there is a 5.86-liter V-8 that puts out around 865 horsepower and 530 pound-feet of torque. I haven’t exactly been a big fan of Nascar in recent years. There are just too many rules to govern the drivers and the cars they drive. I think it is great that Nascar did finally relax the rules and let manufacturers give their cars a similar look to their production counterparts. 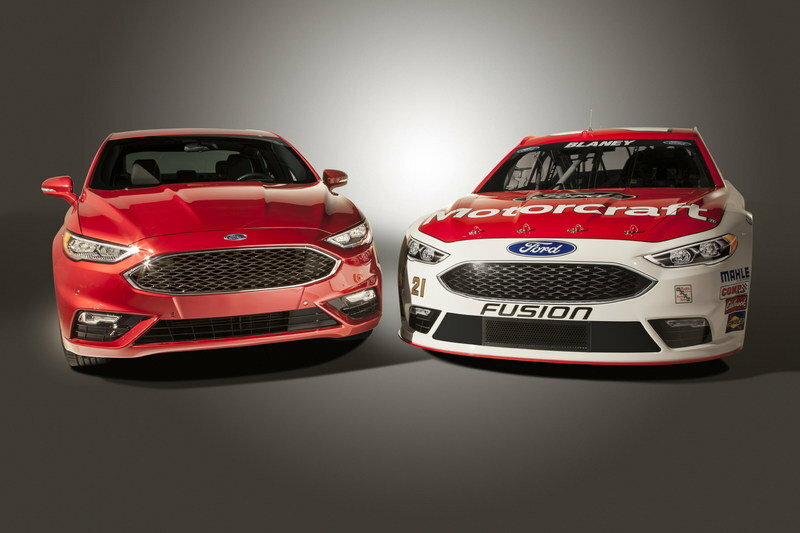 With that said, I think ford did a good job producing a Nascar variant of the Fusion – it does have a decent resemblance to the 2017 Fusion. The new Fusion Nascar is currently running a Goodyear test session at Las Vegas Motor Speedway with Brad Keselowski – 2012 Sprint Cup Series Champion – at the helm. In the past, the fusion has won 71 Sprint Cup Series races in the last 10 years, with 22 in the past two season. The 2017 model will make its first official points race on February 21st at the Daytona 500 in Daytona Beach, Florida. Will it bring a new champion on November 20th in Homestead, Florida? We don’t know, but with the confidence Ford has in this new race car, it’s bound to put up a damn good fight. Where are all the performance specs? History has repeated itself when it comes to the preparing the new NASCAR Fusion for its competition debut in February at Daytona Speedweeks. Much like three years ago when NASCAR allowed manufacturers to include more brand-specific characteristics, Ford once again used the talents of its designers to make sure the same eye-catching components that are included in the new 2017 Ford Fusion production car appear on the racing version. The result is an aggressive-looking race car capable of producing 750 horsepower at 9,000 rpm under the current rules package. “There’s no mistaking we’re here to win races and championships,” said Dave Pericak, global director, Ford Performance. “And we believe the new NASCAR Fusion will be a powerful tool in the hands of our teams and drivers. The new NASCAR Fusion successfully follows in the tire tracks of its predecessor by not only mirroring the exterior of its production counterpart but bringing a better interior to the driver. Ford’s NASCAR drivers will digest more information through a new digital dashboard system that is mandatory for this season. Teams can switch between as many as 16 different preset screens to display information and see information in either bar graphs, numbers or the standard gauge and needle that has been used for years. This latest technological advancement from NASCAR comes on the heels of several significant changes, including the Gen 6 model that brought brand identity back to the sport in 2013, switching to electronic fuel injection in 2012 and going to an ethanol fuel blend in 2011. Ford has continued to refine its own technological program as well, opening up the Ford Performance Technical Center in Concord, North Carolina, in 2014, which features a state-of-the-art full motion simulator that assists both racing and production car development. The new NASCAR Fusion will make its public debut Tuesday when 2012 Sprint Cup Series champion Brad Keselowski participates in a two-day Goodyear test session at Las Vegas Motor Speedway. The Team Penske driver is coming off a season in which he qualified for The Chase after winning at Auto Club Speedway in Fontana, CA, and finished seventh in the final point standings. This is Keselowski’s fourth season driving with Ford and his seventh for car owner Roger Penske. He has 17 career NASCAR Sprint Cup Series wins with eight of those coming behind the wheel of Fusion. Fusion debuted as NASCAR’s flagship model in 2006 and has won 71 Sprint Cup Series races in that time, including 21 the past two seasons. Roush Fenway Racing’s Greg Biffle drove Fusion to a milestone victory at Michigan International Speedway on June 16, 2013 as his triumph in the Quicken Loans 400 represented Ford’s 1,000th win in NASCAR’s top three series combined. Fusion has won the Daytona 500 four times in the last seven years, including 2015 when Team Penske’s Joey Logano won “The Great American Race” for the first time. 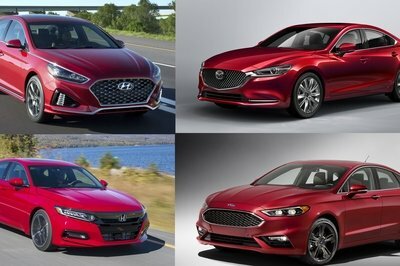 This latest iteration marks the third major body change for Fusion since its initial unveiling in NASCAR in 2006 and represents another step towards keeping “stock” a relative part of stock car racing. The new Fusion will debut during Daytona Speedweeks and compete for the first time in a Sprint Cup points race on Sunday, Feb. 21 during the 58th running of the Daytona 500 in Daytona Beach, Florida. That marks the first of a 36-race schedule which culminates with the champion being crowned at Ford Championship Weekend in Homestead, Florida, on Sunday, Nov. 20.